When I was a member of E-Dressage, I had access to all these amazing resources free as part of my membership. After the company closed these resources disappeared, before being sold through a different website. However, recently I saw the fantastic news on Facebook that Rosenana is back with a brand new blog, How To Dressage, where she will be sharing these fantastic articles for FREE! These articles are fantastic if you are struggling with something in particular or want a bit of insight into why you are losing marks for a specific movement. But they are also just as great for spending an afternoon of light reading to help get your motivation back for the up coming season! I highly recommend any dressage riders out there to take a look at How To Dressage. 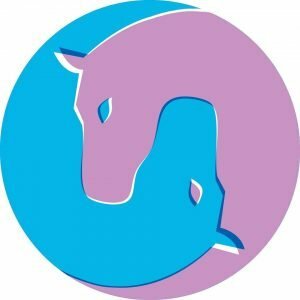 Not only is she back with these amazingly helpful articles.But there is a spanking brand new equestrian forum! There is a space to ask questions on everything from horse care to complex dressage questions. But there is also space for bloggers and equestrian businesses to interact with fellow horse lovers and promote their own content. I am personally loving this forum and think all of you should go and have a look! I know I am guilty of not putting the work in when I haven’t got any competitions coming up and without my own transport, there can be months between these outings. However, with the help of our fantastic sponsor EquiMind, I can compete every month from home. This means I can spend hours absorbing the top tips for improving my dressage scores on How To Dressage and then go practice for my EquiMind test. If you are interested in competing on line be sure to have look at some of our EquiMind Results posts. It would be great for the community to all reappear again!